Over the past 22 years, I have been blessed with opportunity to serve as a Pastor, the past 18 of those years at Wildwood Community Church. Over that span, I have had the great privilege of officiating over 125 weddings. What a blessing to be with couples as they begin their married life together! One thing I always do with couples before they marry, is I give them a Word document with their wedding vows written out for them to review before they recite them. Why do I do that? Because I do not want wedding vows to be like the “terms and conditions” on the last contract they signed for their iTunes account (terms no one really reads, but all simply and blindly “click yes”). Before you marry you should REALLY KNOW what you are committing to. Wedding vows, in a systematic and step-by-step fashion commit to your spouse without exception: in sickness and in health . . . in good times and in bad . . . in riches and poverty . . . forgiving you as Christ has forgiven me, etc. That level of commitment requires serious reflection. 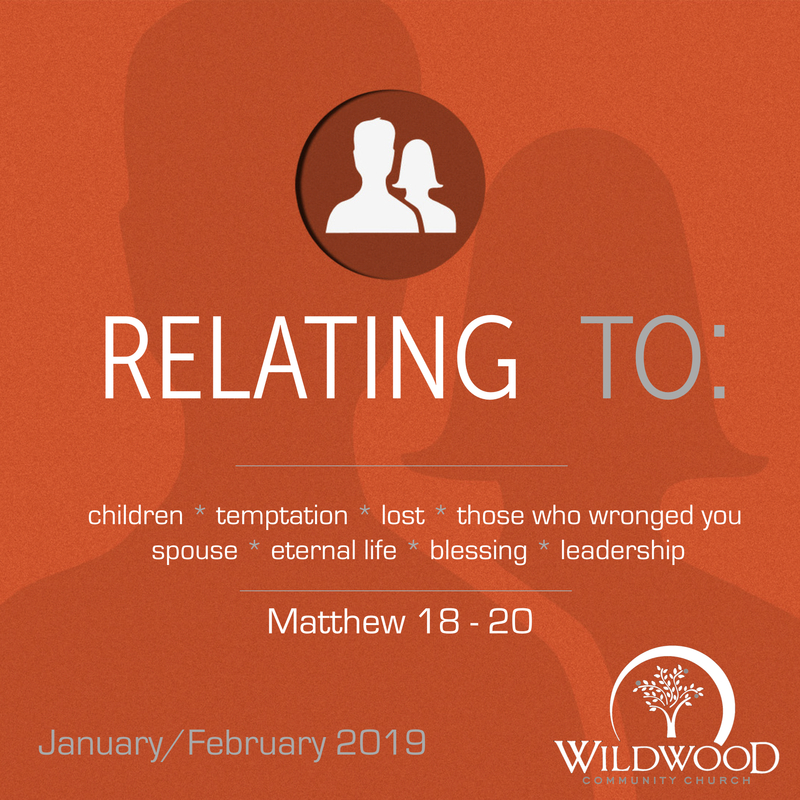 See you Sunday at Wildwood Community Church in the fifth installment of our “Relating to _____” series.